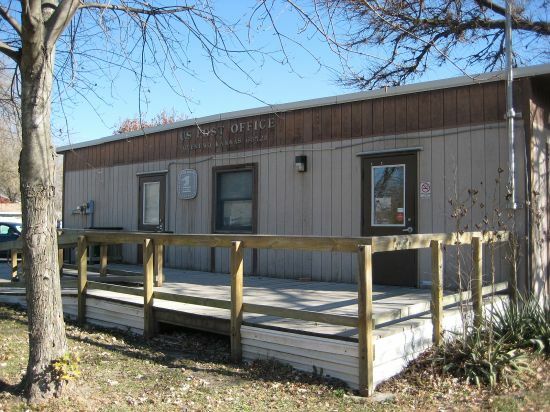 The Post Office in Quenemo. Quenemo (pop. 468) is in Osage County. If you Google Quenemo, Quenemo, Kansas is all you get. 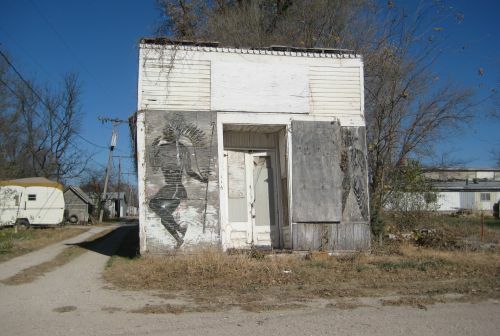 I found this article about the town – which states that it is believed that this Quenemo is the only Quenemo in existence. So there ya go. And the article says Quenemo was likely named for a Sac and Fox Indian chief or his daughter. Back in the 70’s there was a guy moved to town to work on the railroad, handsome devil. Before we knew what his name was we found out where he was from. After that we could never remember his name so we just called him Quenimo, after his hometown and the “Quen the Eskimo”song. Many moons ago———–when Hubby had a bike & I still fit on the sissy seat———we use to ride his bike to Quenemo-as there were several other bikers from there at that time———then there was some kind of trouble & can’t remember now what it was ——–but we all quit riding to there & I don’t know if we have even been back there since! That is the only thing I’ve ever known about Quenemo – the killin’ that took place at a Friday-the-13th biker gang rally – back in the early ’80s, I think. They quit having the gatherings after that. Eligible for parole. Jeffrey L. Ashworth, an Ellsworth Correctional Facility inmate sentenced to 10 years to life in prison for second-degree murder in the June 1980 slaying of Randy Lee Sible, 27. Sible was shot during a Friday the 13th bikers rally and beer drinking party at Quenemo, 35 miles southeast of Topeka in Osage County. Ashworth shot Sible while the two were in a crowd that had gathered in front of the Quenemo post office to watch motorcycle races. Authorities contended Ashworth — about two hours after being introduced to Sible — became upset, put a knife to Sible’s throat, put the knife away, but a few minutes later drew a gun, turned and fired. I was there that day, and all though I did not know your dad, I knew of him and heard about the accident the next day. I have thought about the events of that weekend many times over the years, and it brings sadness. I am sorry for your loss. Apache… redirecting your comments to Rachel – it was her dad. I too was there that day. Seems there were two people killed in traffic accidents in addition to the murder. Course the media blamed the murder of an out of control biker gang. There were no “gangs” there that day. The city council shut the town down on fri 13th and even called out the Nat Guard the next year. Plan on being there tomorrow. My mom was the other person killed in a car accident that evening. So sad that 3 people lost their lives for nothing. I hope people use better judgment now days so such tragedies can be avoided.